Safari Truck & SUV Accessories is proud to be the only local, authorized dealer for Line-X truck bed liners in Jacksonville, FL. This status means we are able to spray your truck bed with Linex spray-in bedliner, the best manufacturer in the business, with the best warranty in the business. Our spray-on truck bed liners are only the beginning of the great custom truck accessories you will find at our shop. What makes a Line-X bed liner so good? It is the ability of these bed liners to provide your vehicle with unmatched protection at a very affordable price. 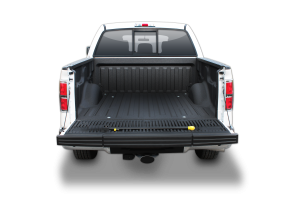 One of the toughest, boldest, and most durable truck products on the market, Line-X truck bed liners give you the flexibility to add style to your vehicle while also ensuring that your truck bed is properly protected from the elements and wear and tear caused by normal use. What should you expect when you have one of these spray-on bed liners installed onto your truck? You should expect a bed liner that is resistant to staining from harsh chemicals. You should expect a bed liner that prevents leaks, rust, and corrosion while keeping you free from cracking, bubbling, and peeling. You should expect a sound-dampening, impact-absorbing, environmentally friendly bed liner that is attached with a permanent bond and featured in a number of custom color options. The manufacturer of a truck bed liner is important, but so is the manner in which the bed liner is installed. As the only authorized Line-X dealer in the area, we are the only shop with the proper credentials, skills, and tools needed to completely and successfully install your brand new products. Whether you are a farmer, a contractor, a hunter, or a weekend warrior, you know how important your bed is for the condition of your pickup truck. 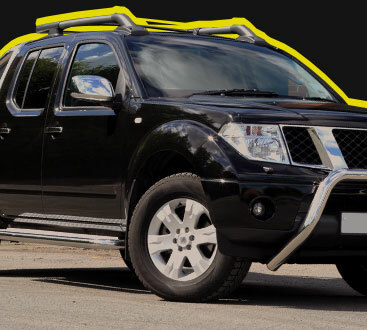 With that in mind, we also know that you are going to make the smart choice by coming to Safari Truck & SUV Accessories to have your spray-on bed liner installed. Call us today for a personal consultation. Your product choices are not limited by inventory sitting in a showroom, we specialize in JIT ordering. JIT means “Just in Time” which allows us to get your exact item ordered and delivered when we have you scheduled for the install. This allows us to provide the best prices, products and services without limiting your choices. We can show you the products that will provide you the utility or style that sets your ride apart from the rest. Whether you use your truck for work or play we have right products. 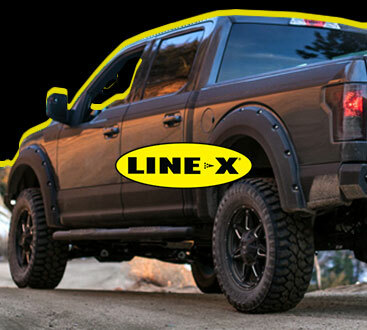 Not only is our selection of custom truck accessories and parts one of the most impressive in the area, but we are also the only local, authorized Line-X™ dealer in town. That means not only do we have the state-of-the-art truck bed liners you want, but we are also qualified to install them for you—no matter how challenging the job might seem.